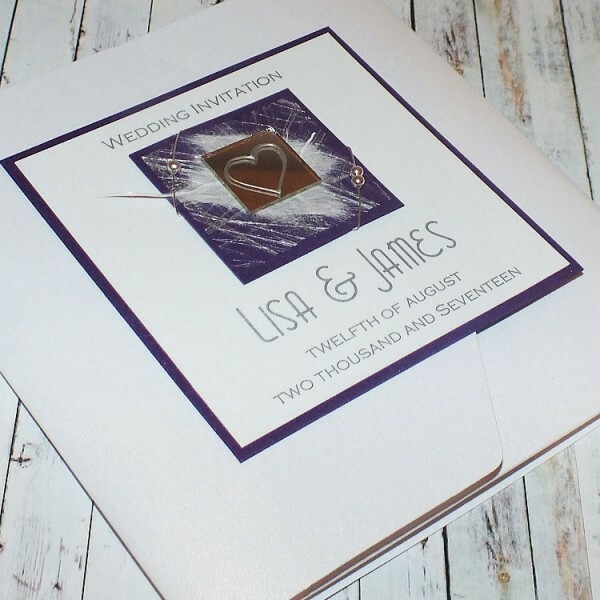 Handmade Personalised Pocketfold Wedding Invitations "Liath"
LIATH POCKETFOLD INVITES are ideal as either WEDDING or EVENING invitations. 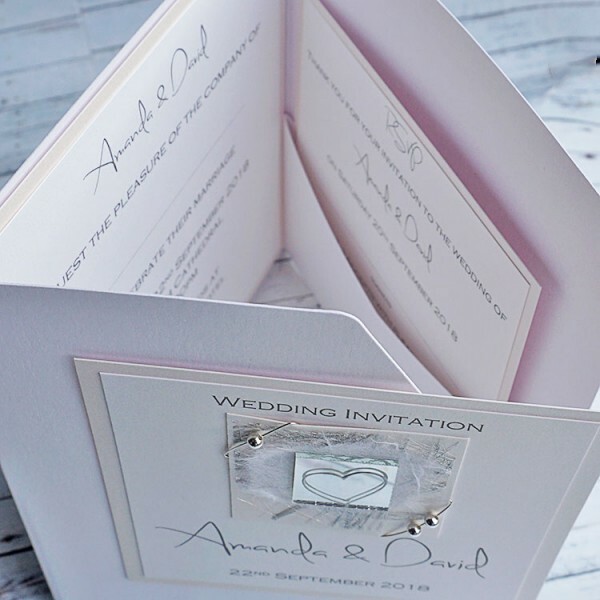 Pocketfold or wallet invites are perfect if you would like to include additional information, such as a reply card and/or information on directions to your wedding venue or your wedding gift list details. 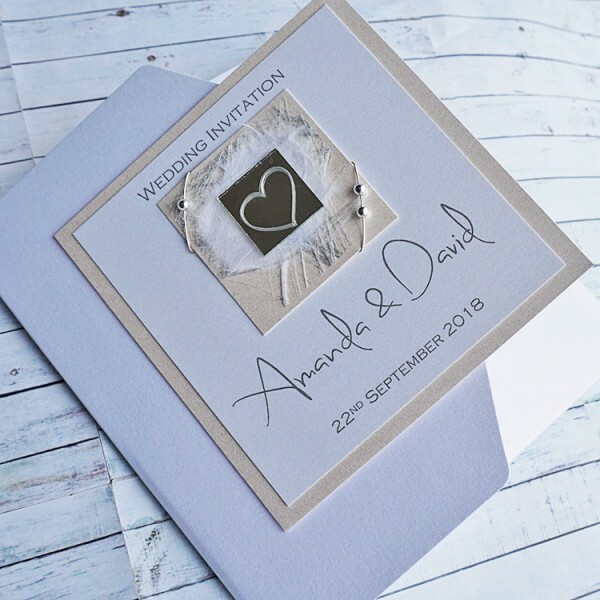 The invitations are printed onto luxurious pearlescent card and are fully personalised with your own choice of wording and fonts.The Liath design is a contemporary wedding invite which features a silver heart painted on a mirror mounted on coloured pearlescent card, ‘angel hair’ paper and mulberry paper. 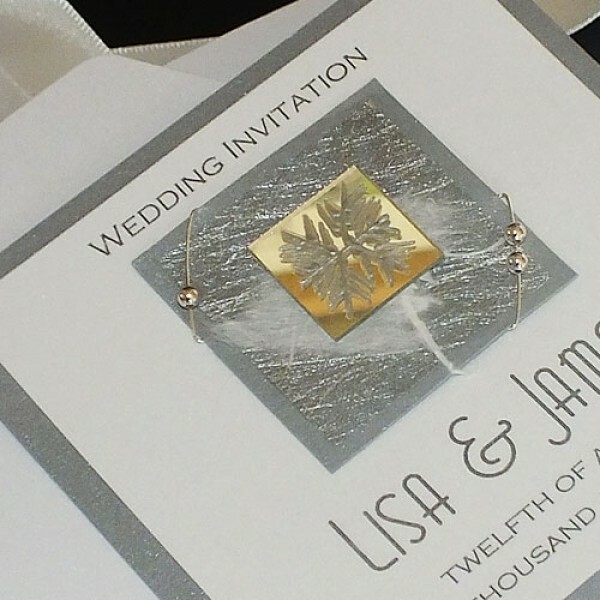 Silver plated beads are also wired onto the design for a touch of sparkle. 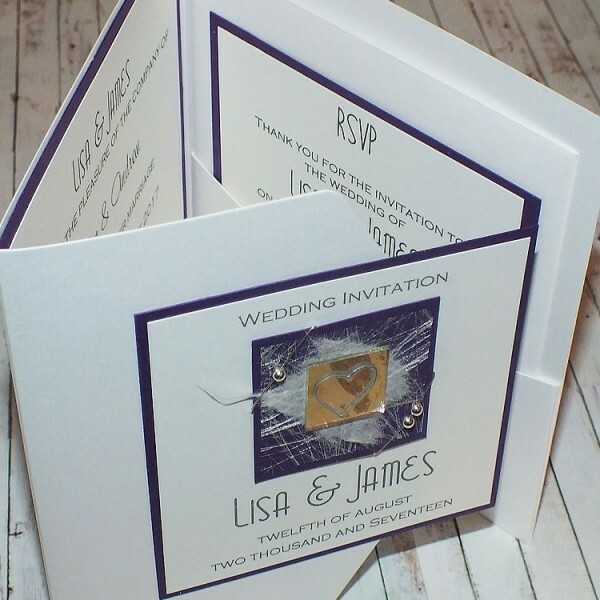 For extra sparkle, Swarovski diamontes can be added to the design. The LIATH design is available in any colour scheme to match your wedding and we are happy to match to a colour sample. 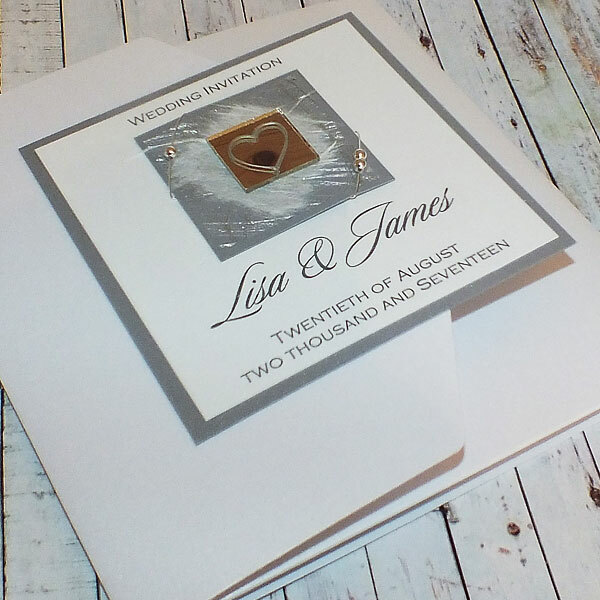 If you let us know your colour scheme when placing an order for a sample, we will send you a swatch of the card colours available. 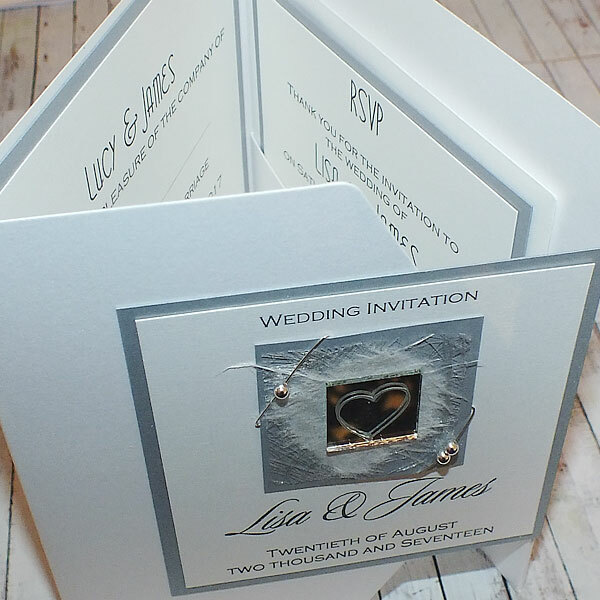 The design as shown in silver and white is also ideal for Christmas Wedding Invites as the silver heart can be swapped for a silver painted snowflake.